A moment of madness from Nigerian midfielder Sani Kaita gave Greece the ideal platform to mount a comeback against Lars Lagerbäck’s side. Following Argentina’s earlier 4-1 victory over the Republic of Korea, both sides were in desperate need of a victory to keep their chances of qualification for the next round intact. Despite the pressing need to win, neither side looked likely to threaten in the early stages. Greece’s Katsouranis tried a speculative chip from near the halfway line but his effort was easily saved by Vincent Enyeama, whose performance against Argentina had impressed the footballing world. Nigeria took the lead in the 16th minute. An inswinging freekick from Kalu Uche eluded an attempted header from Peter Odimwingie before finding its way into the Greek net. Goalkeeper Alexandros Tsorvas was clearly expecting Odimwingie to make contact with Uche’s freekick as he dived away from the cross. Greece were facing an early exit from the World Cup. Nigeria looked comfortable in the lead. 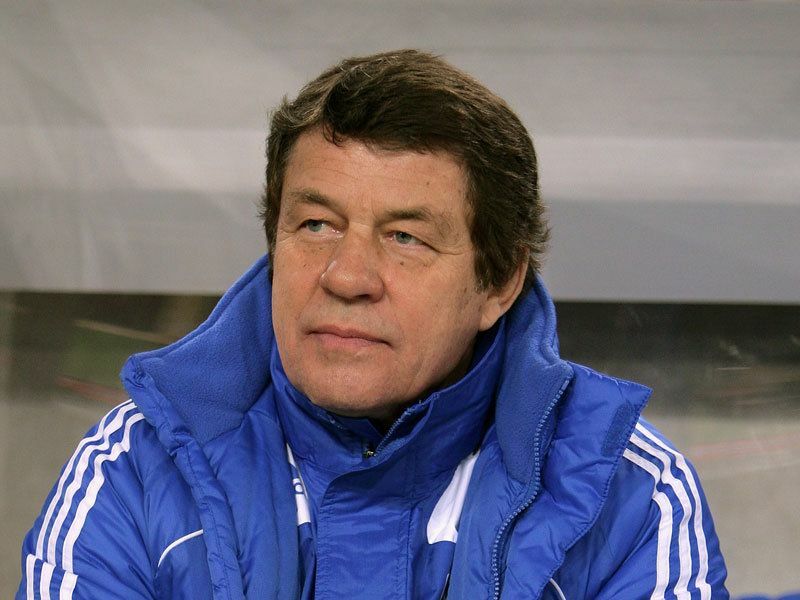 Otto Rehhagel’s side, as they were against South Korea, were reduced to punting long balls forward into their opponents penalty area. These poor passes posed no problems for the Nigerian central defenders, Danny Shittu and Joseph Yobo, who headed each of them away with ease. The game’s pivotal moment arrived in the 33rd minute. Torosidis and Kaita jostled for the ball after it had gone out for a through in with the latter aiming a kick at the Greek’s thigh. Torosidis collapsed to the floor clutching his face in a shameful attempt to capture the referee’s attention. Despite Torosidis’ clear overreaction, Kaita deserved the subsequent red card. The AS Monaco midfielder could hardly believe it, falling to his knees as the referee produced the card before trudging from the field with his shirt covering his face. Rehhagel sensed that his side’s chance had arrived. He almost instantly summoned Georgios Samaras from the bench, the Celtic striker replacing Papastathapolous. Nigeria’s players were visibly rattled by the dismissal of their talented midfielder. Greece on the other hand were buoyant. Far from their uninspired ‘Route One’ football that they had displayed at this World Cup until then, they played sublime high tempo passes along the ground. Salpigidis almost benefited from this newly acquired lust for goals and was played through on goal. He was unable to shoot past the onrushing Vincent Enyeama who was once again the hero for Nigeria, producing a wonderful save. The Maccabi Haifa ‘keeper was powerless to prevent the inevitable equaliser however. Salpigidis, who had shown some effectiveness after coming on as a substitute against South Korea, fired a low shot towards the bottom right corner. On its path to goal it was deflected by Haruna and ended up high to the left of Enyeama. Salpigidis wheeled away with his teammates as they celebrated Greece’s first ever World Cup goal. The half time whistle was welcomed by the Super Eagles who huddled on the pitch before jogging purposefully towards the tunnel. Lars Lagerbäck had the difficult task of re-organising his unnerved side. 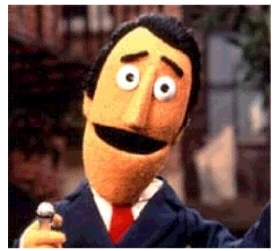 The Swedish coach’s team talk clearly had little effect on his side as the pattern of the second half bore a vivid resemblance to that of the first. Greece, perhaps out of character, controlled possession for long spells and always seemed the more likely to score the goal that would separate the teams. Nigeria suffered another blow in the 55th minute. Talented fullback Taye Taiwo pulled his groin as struck an overhit cross into the Greek penalty area. The Marseille stalwart’s combination of defensive knowhow and his intrinsic athletic ability were sorely missed by the Super Eagles over the following 35 minutes or so. Shittu and Yobo remained steadfast in their defiance of repeated Greek attacks. The corner count was rising rapidly as cross after cross was headed away confidently by the Premier League duo. Yobo was culpable for what proved to be one of the match’s decisive moments, however. His failed attempt at a clearing header fell to Gekas. The superb Enyeama prevented the striker from scoring with an outstanding save with his feat. From the save the ball was pumped forward and Nigeria found themselves in an attacking position with Yakubu Aiyegbeni in a one on one situation with Tsorvas. The Greek goalkeeper matched his Nigerian counterpart’s efforts with a magnificent parry. His block looked to be in vain as it dropped into the path of Chinedu Obasi. Obasi rounding off a tremendously exciting passage of play with a horrific miss from six yards, one which may yet rank as the worst of the tournament. Enyeama was once again the pillar on which Nigeria’s hopes lay. He produced perhaps his best save of the competition to date as he flew across his goalmouth to deny a header from Gekas. For all of his wonderful goalkeeping the Nigerian goalkeeper was culpable for Greece’s second and what proved to be the critical goal. A low shot from the edge of the penalty area swerved at the last possible moment and Enyeama failed to adjust his body to meet it firmly. The ball rolled into the path of Torosidis who dispatched the winning goal and prompted an ecstatic reaction from both the crowd and the Greek substitutes. Enyeama protested the referee’s decision to allow the goal as Yobo was injured in the build-up after clashing heads with Samaras. His complaints went unheeded. Greece continued to dominate in the closing stages. Nigeria’s best chance at an unlikely equaliser fell to Everton’s Yakubu who curled a shot just to the left of Tsorvas’ goal. Criticisms of Lars Lagerbäck proved to be valid. The Swedish coach did little to console his side after the fatal dismissal of Kaita. His failure to readjust his formation accordingly was capitalised on by Otto Rehhagel, who had contended that his side would play attractive football if Lionel Messi, Xavi and Iniesta were amongst the members of his squad. His side may not have produced a display of the same calibre as Argentina’s earlier today but the exertions of his squad and their gritty determination to overturn Nigeria were commendable. Nigeria must now beat the Republic of Korea and hope that Argentina beat Greece for the Super Eagles to have any chance of reaching the Round of 16. In the second of his columns on the winners and losers of the day from the World Cup, Dave Hanratty aims his sights at Robert Green and co.
Torn apart after five minutes, it looked like it was going to be a very long night for the Americans, but a combination of their determination and Rob Green’s stunning incompetence saw them deservedly take a point from proceedings. Tim Howard, Oguchi Onyewu and Landon Donovan stood out in a team that grew in confidence as the game went on. Solid but not spectacular, they should advance from the group with little difficulty. Often pigeonholed as “workmanlike” and often dismissed in turn, the South Koreans combined their impressive workrate with skill and flair, cruising to an easy two nil victory over a pathetic Greece side. The scoreline flattered the 2004 European champions and in truth really should have been much more. South Korea are out to prove that their semi-final appearance in 2002 was no fluke, and while that might be a touch optimistic, they should not be underestimated. Gabriel Heinze’s header on six minutes seemed to invite the floodgates to open. Were it not for the heroics of Nigerian goalkeeper Vincent Enyeama, it could have been an embarrassing day for the African side. While Enyeama won his personal battle with Lionel Messi, it was Maradona’s men who won the war, although they will need to produce a better performance against more credible opposition. “When I looked at the teamsheet I had to ask if it was THE Veron!”. An all expenses paid trip to the World Cup and an easy commentary gig without doing any homework. Good job Mick. It would be tragic if it wasn’t so funny. Whether or not Milner’s 30th minute substitution was down to illness or a fear that he may get sent off, the possibly Man City-bound midfielder was given a huge opportunity and promptly blew it. You get the feeling that they would be content to suffocate teams to 0-0 draws until the end of time. 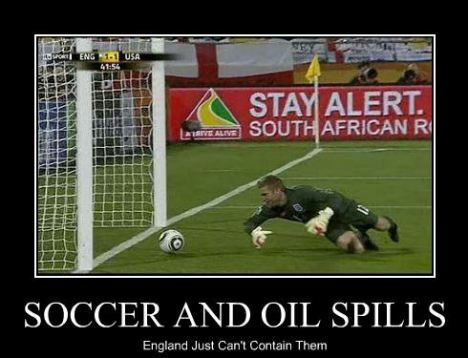 Thankfully the South Koreans were able to find away around their disgusting anti-football tactics. Hats off once again to Peter Drury of ITV for coming out with faux-xenophobic rhetoric. Remarking on the “bench full of Kims” wasn’t enough for the gormless commentator. On half-time he declared that it was “a walk in the PARK” for South Korea. Because Park is a common Korean surname you see? Genius. NB: I didn’t see ITV’s coverage of the England/USA game, so if anybody can shed some light on what I missed, feel free to add a comment. Argentina’s quest to add to their World Cup victories in 1978 and 1986 got off to an ideal start with a victory against Nigeria. It was a frustrating display by the Albiceleste who outplayed the Super Eagles but were repeatedly thwarted by the efforts of Nigerian goalkeeper Vincent Enyeama. Enyeama produced several astonishing saves from a barrage of efforts from La Liga duo Gonzalo Higuaín and Lionel Messi, who shone on the World Cup stage. Coach Diego Maradona created a stir before the kick-off, naming a starting eleven featuring a front trio of Higuaín, Messi and Carlos Tevez. Jonás Gutierrez, the Newcastle United winger was named as the starting right-back. The scene for today’s victory was Ellis Park, Johannesburg. The iconic stadium was the setting for scenes of great national unity for South Africa when Francois Pienaar was presented the Rugby World Cup by Nelson Mandela in 1995. Maradona’s Argentina looked suitably united for the stadium, as the Albiceleste seemed relaxed and jocular in the tunnel before the game. 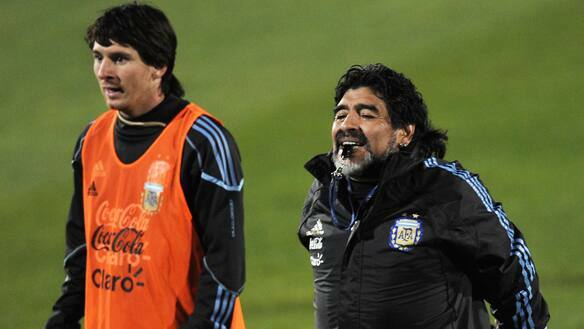 Any reports of unease within the Argentine camp appeared to be grossly exaggerated. Argentina began brightly, Messi sparkling as he evaded the challenges of Nigerian defenders before curling a shot towards the top corner, forcing a sensational stop from Enyeama. Nigeria coach Lars Lagerbäck, whose Swedish sides were traditionally well versed in the art of defending set pieces, will have cursed his team’s defending from the ensuing corner. Juan Seba Verón’s cross finding Gabriel Heinze unmarked. The former Manchester United defender producing a marvellous header from deep to give Argentina the lead in the sixth minute. Argentina looked supreme in possession but were not as convincing when forced to chase Nigeria. Jonás Gutierrez’s unfamiliarity with the right-back role was exposed recurrently by Ogbuke Obasi and Victor Obinna. In spite of this defensive uncertainty, Argentina were unrelenting in their attempts to earn a second goal. The midfield, marshalled by captain Javier Mascherano and guided by Verón, were in fine form as they slowly created opportunities for the front three to flourish. Messi brought more saves from Enyeama before Gonzalo Higuaín had perhaps the best chance of the first half, a beautifully weighted pass from Carlitos Tevez setting the Real Madrid striker through on goal. Higuaín was unable to beat Enyeama however and once more Argentina were thwarted before half-time. Enyeama’s efforts will have undoubtedly attracted the attention of the many managers from Europe’s preeminent leagues who were in attendance at today’s game. The early second half was paced almost identically to the first. Messi, at the heart of every chance created by his country, caught Taiwo out with a precise rolled pass to Verón who returned the ball expertly to his compatriot. Man of the match Enyeama once again rescuing his country with a fine save. Lagerbäck’s side desperately needed an injection of verve. It looked to have come in the 51st minute when Vfl Wolfsburg’s Obafemi Martins replaced the persistently obstructed Victor Obinna. Nigeria admirably attempted to fight their way back into contention but failed to create meaningful opportunities as cross after cross sailed harmlessly through the penalty area. The brilliant Verón was replaced by Maxi in the 73rd minute, Maradona perhaps seeking to bring some cover for Gutierrez on the right. Argentina continued to threaten but were incapable of finding away past Enyeama, whose display was surely the best seen in this year’s competition thus far. The Super Eagles’ best chance at an undeserved draw came in the final ten minutes. A magnificent cross was pulled behind the aligned Argentine defenders. Unfortunately for Icechukwu Uche the ball bounced uncomfortably in front of him preventing him from finding the target. As they match drew towards its conclusion Argentina failed to keep control of the football, with some reckless passing allowing Nigeria to break forward. Nigeria’s valiant efforts came to nothing as the Albiceleste held on to secure what could be a vital opening victory. They finish the day behind the Republic of Korea on goal difference, with the game between the two sides on the 17th of June poised to decide the winner of the group. For Lars Lagerbäck there is much work to be done. He may take solace from the inspiring efforts of his goalkeeper, Vincent Enyeama. If he can coax performances of similar quality from his outfield players then their World Cup journey may not be over yet. The Republic of Korea outclassed a lethargic Greek side en route to a 2-0 victory in Port Elizabeth. In truth, the scoreline could have been even more one-sided as Rehhagel’s much vaunted defensive tactics were undone by a tidy and ambitious Korean effort. Any fears of a 0-0 stalemate were banished after seven minutes when uncharacteristically poor defending from Greece allowed central-defender Lee Jung Soo to pounce at the back post. A low free-kick was dispatched into the Greek penalty six-yard box where at least one of five Hellenic defenders should have dealt with the cross. The semi-empty stadium did little to contain the celebrations of the famously vociferous South Korean fans. Greece had failed to score in any of their previous World Cup games, all at USA 1994, and relied heavily on diagonal passes into the Korean half. South Korea, as one of the shorter teams in the 2010 World Cup, were obvious targets for lofty passes but their defenders showed impressive atheleticism and agility and actually had the better of Greek attackers Gekas and Katsouranis in the air. South Korea were busy and tidy on the ball and showed composed containment when their opponents were on the attack. Park Chu Young was set through on goal in the 27th minute after a lovely through-pass around from captain Park Ji Sung. A last ditch challenge from Papadopoulos and a fortuitous save off the boot of the Greek goalkeeper Tzorvas were all that prevented South Korea from taking a deserved two goal advantage. Any incursions into the Korean half were dealt with effectively by an underrated Republic of Korea defence. They constantly sought to catch a sluggish Greece on the counterattack as their wingbacks Lee and Cha broke free of their Grecian counterparts. Win will be valuable in the quest to at least finish as runners-up to Argentina. The three teams are quite evenly matched and all capable of taking points from each other and potentially at least one of them may manage at least a draw against Maradona’s side. As the teams emerged for the second-half, South Korea engaged in another huddle to recfocus on a task not yet completed. They once again started brightly and scored the second goal that their performance deserved in the seventh minute of the second half. Vyntra needlessly gave the ball away to Park Ji Sung who strode past two challenges into the penalty area and slotted beautifully past the keeper. When Park Ji Sung plays as well as he does here it is easy to see why he is so favoured at Manchester United. He has now scored in three consecutive World Cup Finals, a wonderful achievement for South Korea’s favourite son. There was a palpable sense of frustration from the Greek players on the pitch. Torosidis encapsulated this with a rash challenge from behind earning himself a yellow card in the process. Greece’s late chances were limited to crosses which posed little trouble for the Koreans. In fact it was not until the 80th minute that Jeung was called into action, showing good reflexes to deny Gekas who had very little opportunity to show the prowess in front of goal that allowed him to score ten goals in qualifying. Even as South Korea eased off in the latter stages they still looked a far superior side both offensively and defensively. Throughout the game they looked lively in possession and could prove to be a more difficult obstacle than originally thought for Diego Maradona’s Argentina. The passion of 2002 seems very much alive in this squad, who seem more than eager to atone for a less than impressive showing in 2006. As the final whistle was blown by New Zealander Michael Hester, the 11 Koreans on the field were joined by the substitutes who looked overjoyed at an opening victory. If they produce more performances like this then they may have further opportunity to celebrate as the tournament progresses.